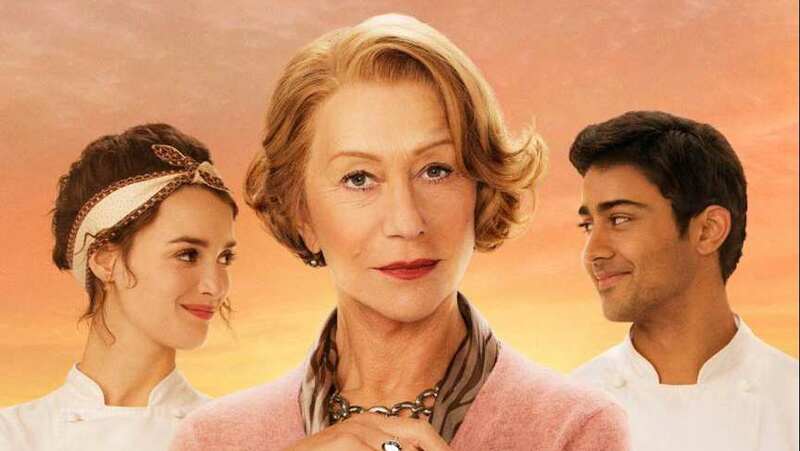 Trailer for The Hundred-Foot Journey. In The Hundred-Foot Journey, Hassan Kadam (Manish Dayal) is a culinary ingénue with the gastronomic equivalent of perfect pitch. Displaced from their native India, the Kadam family, led by Papa (Om Puri), settles in the quaint village of Saint-Antonin-Noble-Val in the south of France. Filled with charm, it is both picturesque and elegant – the ideal place to settle down and open an Indian restaurant, the Maison Mumbai. That is, until the chilly chef proprietress of Le Saule Pleureur, a Michelin starred, classical French restaurant run by Madame Mallory (Helen Mirren), gets wind of it. Her icy protests against the new Indian restaurant a hundred feet from her own escalate to all out war between the two establishments – until Hassan's passion for French haute cuisine and for Mme. Mallory's enchanting sous chef, Marguerite (Charlotte Le Bon), combine with his mysteriously delicious talent to weave magic between their two cultures and imbue Saint-Antonin with the flavors of life that even Mme. Mallory cannot ignore. At first Mme. Mallory's culinary rival, she eventually recognizes Hassan's gift as a chef and takes him under her wing.